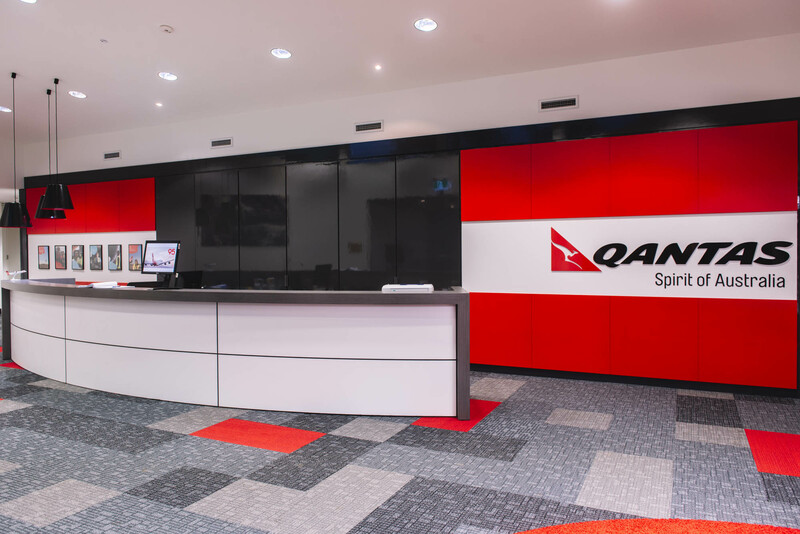 Schiavello’s Victorian construction division was engaged to complete the fitout of Qantas call centre in Hobart. 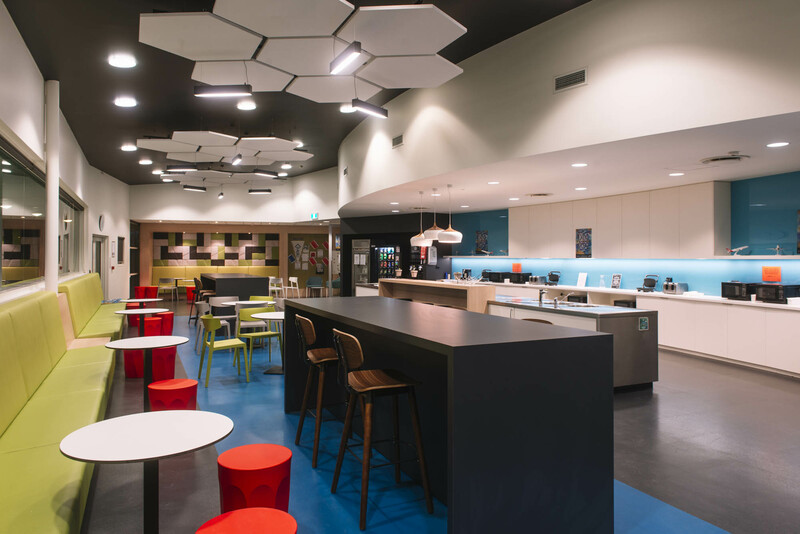 Together with architect Venko Design, our team brought vibrancy and modern elements to the workplace. The project began with the demolition of existing floor finishes, the removal of windows, and a complete strip-out of the breakout area. 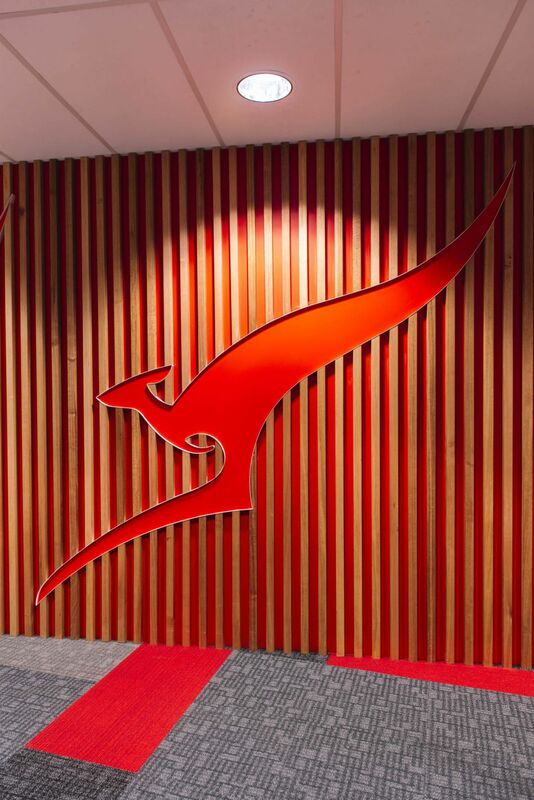 The fitout infuses the Qantas brand identity through colours, textures, and finishes. Driven by the understanding that people’s productivity stems from their environment, the built space is both comfortable and stimulating. 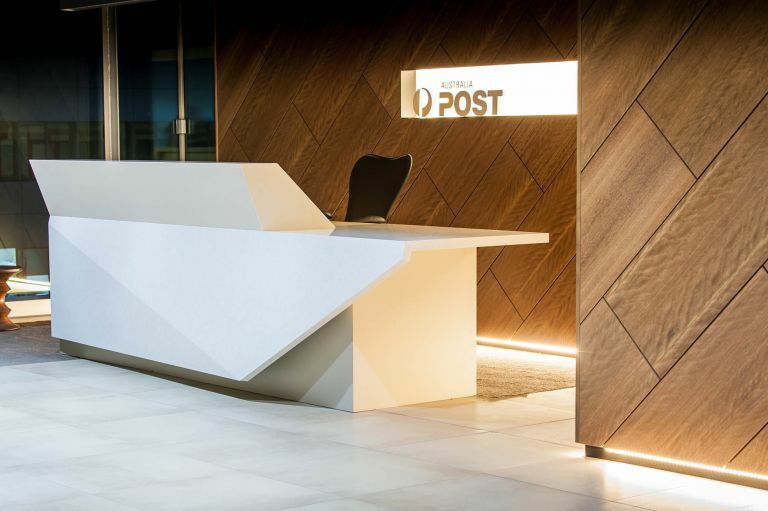 The project was completed within a live environment; the client required the call centre to remain operational 24-hours throughout the length of the project. All works were scheduled in sections around the client’s requirements and completed with full height solid hoarding panels to mitigate dust and noise. The sleek reception area is flanked on one side by a cosy seating arrangement. Feature joinery screening defines the area; the white hanging aluminum screen with snowflake cut-outs set a cosy backdrop to the waiting area. The halo LED lights above reflect the circular motifs on the screen. The iconic red recurs throughout the office, accenting the various spaces and providing a unifying factor across the zones. The steady pops of red instill the brand identity while energising the space. 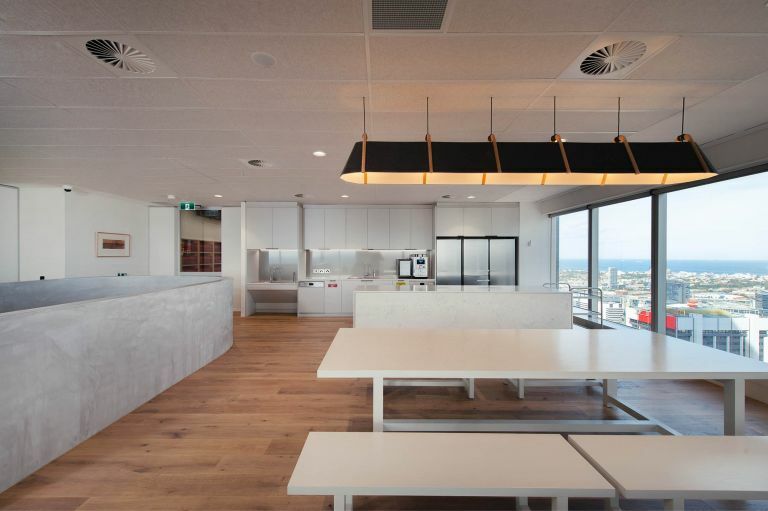 The large breakout area is the highlight of the fitout. Banquet seating frames the area while hues of blue, green, and bright red dominate the colour palette. 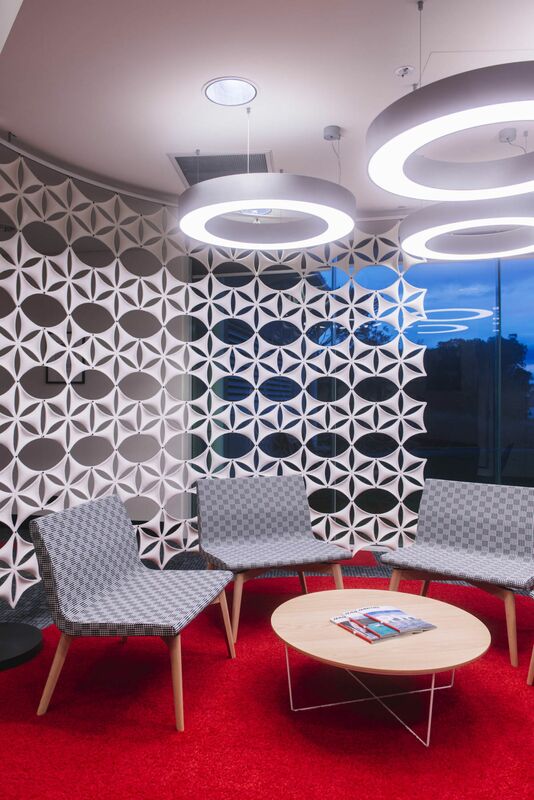 Floating hexagonal ceiling tiles and pendant lighting add to the contemporary aesthetic, and the curved bulkhead contrasts the linear elements. The 3,200sqm corporate workplace was awarded a 5 Star Green Star – Interiors certified rating from the Green Building Council of Australia. The AGS office spans three levels; featuring a dedicated library, multiple office areas, a large breakout space and a central concrete staircase adjoining three floors.